Customizing your rifle’s handguard can be a blast, but there is a lot to consider when it comes to parts. 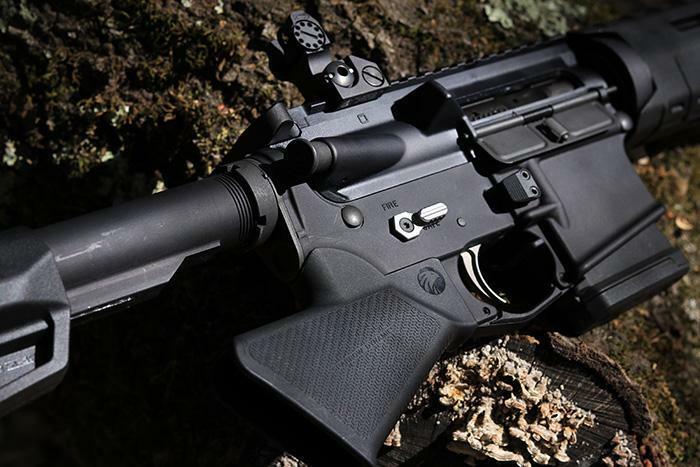 Never fear – we’ve got all the info you need to pick the perfect handguard for your rifle. Whether you’re upgrading an AR-15 you already own or are getting ready to build your own, you want to make sure you find the perfect components for your needs and style. 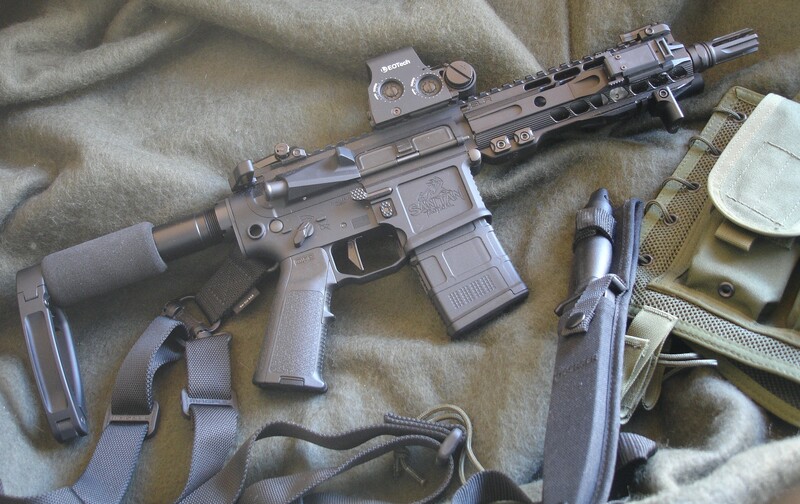 AR-15s are a versatile rifle and are incredibly popular for custom builds. 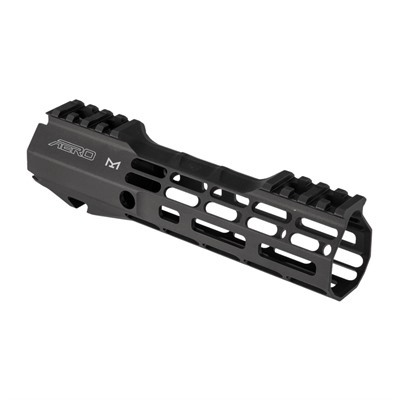 If you’re looking to change out one make-or-break part, we’d say start with your handguard. 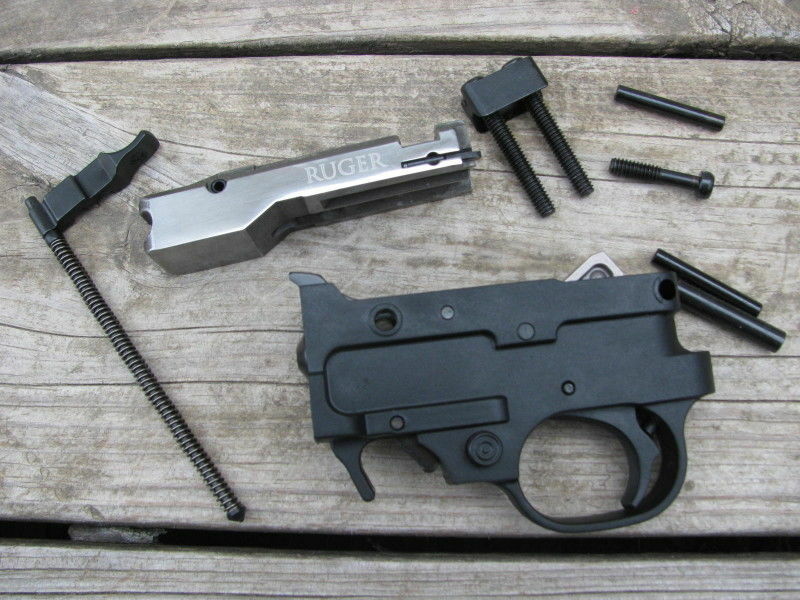 This major component can make a big difference in the look and function of your AR-15. 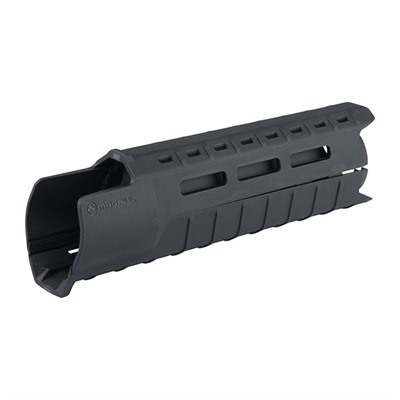 A good handguard is like the right outfit for your AR–appropriate for the environment and the things it will need to carry. Just like you wouldn’t brave a winter storm in just a t-shirt or wander into the desert wearing a wool coat, you wouldn’t want to put a handguard on your AR that doesn’t look, feel, or function the way you want it to. The wrong handguard can be seriously uncomfortable and inconvenient. 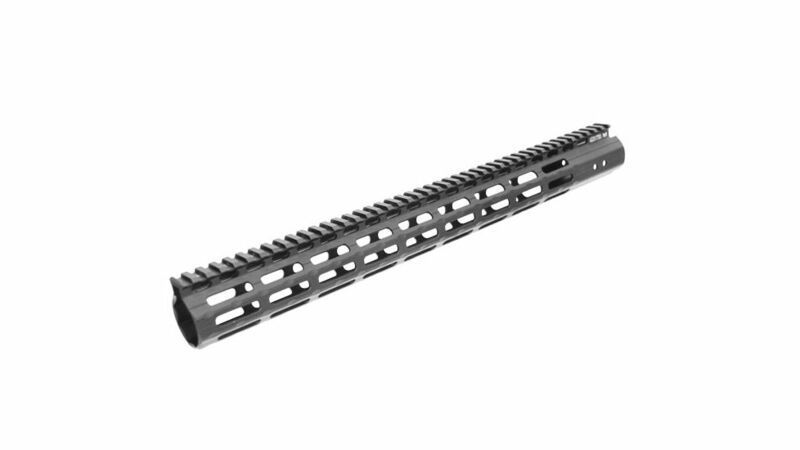 When choosing the right handguard, there are some functional considerations you’ll need to make, such as free-float or not, M-LOK or Keymod, and lightweight and minimalist or quad-rail. There’s also the length, weight, and compatibility issues to worry about. Once you’ve got all that sorted, you have to figure out which of the roughly ten billion manufacturers you want to trust with $100+ of your hard-earned dollars. If that sounds frustrating or worrying to you, take heart. We’ve written this awesome guide to help you make all those decisions and then some. We’re not done until you’ve found the perfect handguard for your AR-15 build and your needs, so let’s get shopping! Unless you’re going for a smooth 3-Gun style AR and you want to run as light and minimalist as possible, you’re going to need attachment points. We’ve come a long way from needing bulky quad rails for everything, though. 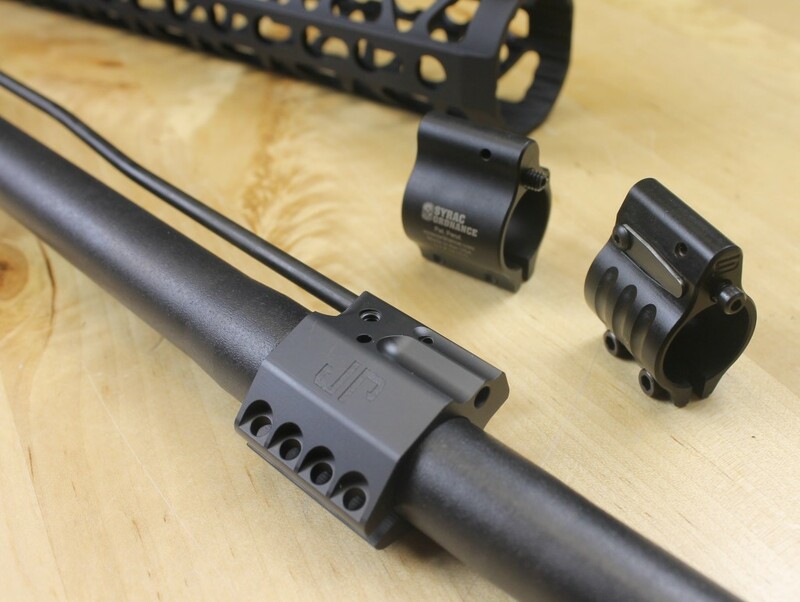 Modern systems use pre-drilled holes that you can use to either attach accessories directly or that you can use to attach rail section–meaning don’t have to add any more weight than you absolutely have to. 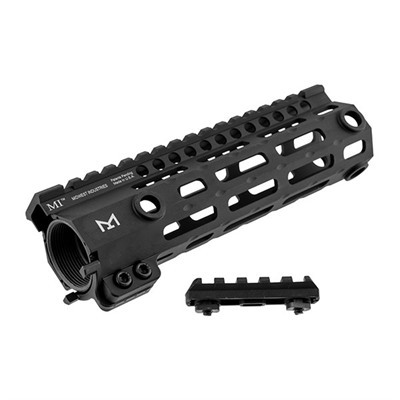 The two big systems, really the Coke and Pepsi of the handguard world, are KeyMod and M-LOK. Unlike the soda world, there’s actually a clear winner in the KeyMod vs. M-LOK debate. One system has superior impact test results, more secure attachment points, is often cheaper and has a wider variety of compatible accessories, and is typically lighter. The other is KeyMod. Now, don’t get us wrong–KeyMod is still good. 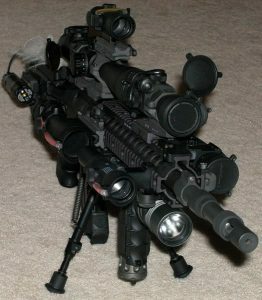 It just isn’t as good as M-LOK is in the ways that matter the most. We’d say go with M-LOK if you can. There are four real options here: steel, aluminum, polymer, and carbon-fiber. Basically, steel is the heaviest (by far) but the least expensive–if you can even find one. Aluminum is light, strong, and is the most common. Carbon fiber is incredibly light, incredibly strong, and also incredibly expensive. If you’re looking for a middle ground between steel and aluminum and carbon fiber, polymer is another option. It’s not strong as any of the other options or as light as carbon fiber, but it can cut down on the weight you’d have if you used aluminum or steel. It also is the cheapest option, if you’re building on a budget. For most folks, a handguard made from 6061 aluminum will work just fine. If you’re a serious competitor or are building run-and-gun rifles (or just want the lightest rifle possible), carbon fiber is a fantastic material for durability and a lightweight build. We’d also like to extend an honorable mention to wood for a handguard material. If you want to build something different–and not nearly as intimidating to non-gun people–wood furniture is making a comeback in a big way. There are a number of fantastic wood handguard makers out there now. Your next consideration will be how you want to mount your handguard. Free-floating handguards allow your barrel to sit in your rifle without coming into contact with the handguard (and your hand). That means it only contacts the receiver at one point. This gives you less flex in your barrel, which results in more accuracy. Any pressure on your handguard is going to flex your barrel ever so slightly and inconsistently, which will throw off your shot. 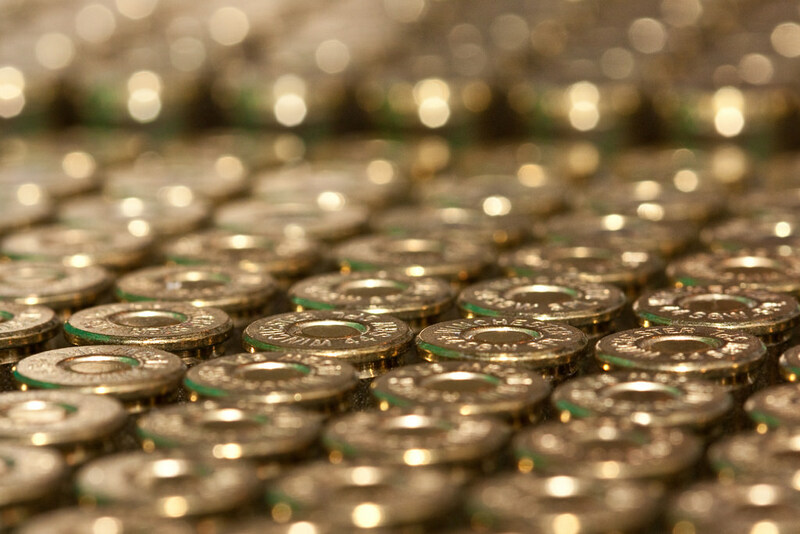 This is why competition shooters often prefer free-floating barrels. 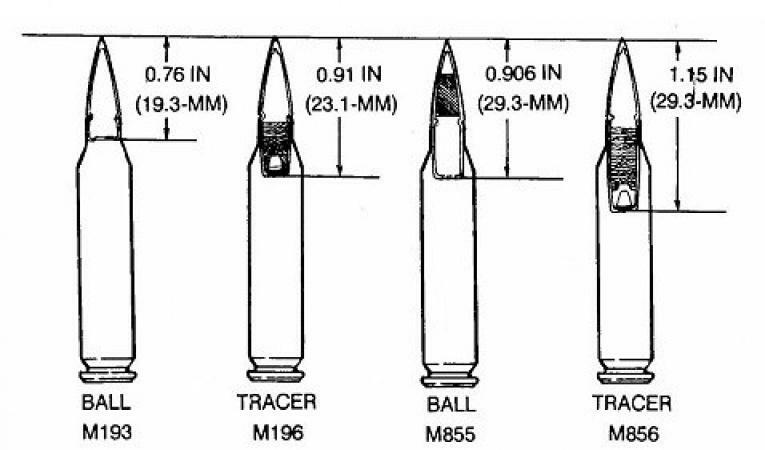 If you’re only shooting at close ranges or just have a cheap plinker of a gun anyway, the accuracy difference may not matter and you can save a bit of money by getting a non-free-float handguard. It simply depends on what you intend to do with your AR. There are hundreds of finishes out there, all of which are based on your handguard material. We’re just going to say take a look at your options for your chosen material and pick something sturdy. Going over all the possible finishes would be an article or two all by itself! Aluminum anodizing is the gold standard, so you should try to get something that’s at least as tough as that. Like just about anything else on your AR, you can Cerakote your handguard any (or all) the colors of the rainbow. You’ll find pretty much any combination your heart and wallet can agree on, so you can finally get that Stormtrooper rifle of your childhood dreams. When it comes to price, well, we’ll leave that up to you. 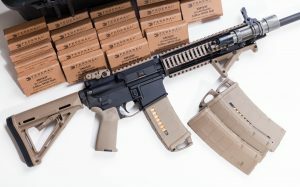 You can easily spend used-Glock money on an AR-15 handguard if you want, but it’s up to you to consult your wallet and decide just how all-out you can get with your build. 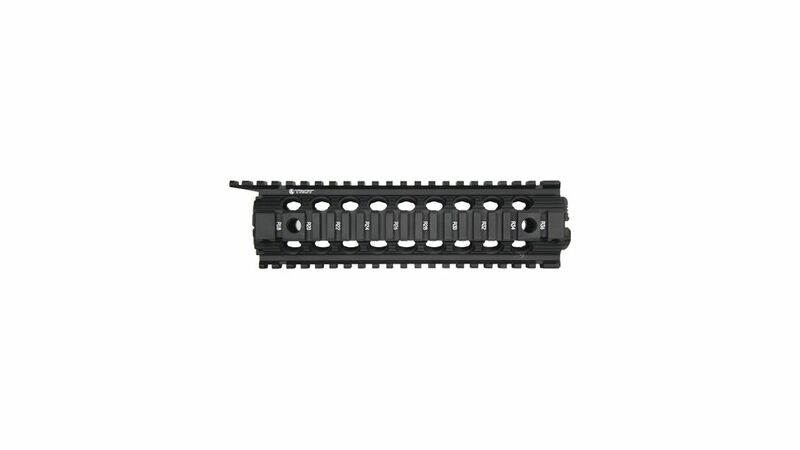 You don’t really need to spend more than $200 for a top of the line handguard. For a good, solid choice, you should expect to be more around the $150 range, with budget models coming in under $80. We’ll give you a minute to think it over before we start showing you all our favorite choices. As we said, if you’re looking for stellar accuracy, free-floating handguards are generally your best option (as long as you don’t have an integral front-sight base). Here are the best of the free-floating handguards around. If you want that classic M4-style quad-railed goodness, the YHM version is the best of the best. It’s shockingly light for a quad, but is made with all the exacting care and precision Yankee Hill is known and beloved for. You also get plenty of space for accessories with 4 full-length Picatinny rails. For the longest time, the MI G3M was the one we recommended here, but it’s since been usurped. The G3M, particularly the lightweight G3M M-LOK version, is still a fantastic, affordable option for a well-built free-floating handguard. It is available in a few different lengths, even the railed version is fairly light for its overall thickness and aluminum construction. Overall, if you can get the ML version on sale, it’s still hard to beat. 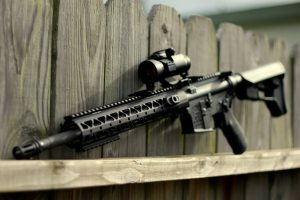 The Aero ATLAS S-One M-LOK has almost become the industry standard. At a hair under 1 ounce/inch, it is incredibly light, and its design is near perfect. The aluminum free-float handguard is finished in a few different colors, and has sight rails and nothing else, keeping the weight low. That said, you can slap whatever M-LOK accessories or rails you want on it, even if doing so almost sacrilegiously spoils the incredibly clean lines and rounded corners of the handguard. The ATLAS line truly can hold the entire world if you need it to, and it still manages to look good doing it. It also comes in under $150 and we’ve seen them as low as $80 on sale if you’re willing to pick up one with a cosmetic defect. If your budget isn’t quite so friendly, UTG has got you covered. Now, UTG may not be a byword for particularly robust products in the firearms word, but they’re not cheap junk to be discounted either. They make quality, affordable products for budget-minded folks. These handguards are available in multiple lengths and are actually impressively lightweight without skimping out on material. If you have a delta ring and a front sight base on your rifle in the standard A2 style, you’ll have to go with a drop-in replacement. Your handguard length will also be decided by where your FSB is–unless you feel like altering that FSB and losing the delta ring, of course. You shouldn’t need to make any modifications when installing a new drop-in handguard though, and they’re usually cheaper than their free-floating peers. Of course these are on the list. They’re not fancy or particularly good looking, but they’re high-quality, virtually indestructible, cheap as dirt, easy to install, and actually pretty light. The M-LOK version even has attachment points for all the probably unnecessary stuff you want to hang off your gun, so you can have your lights, lasers, and coffeemakers close at hand at all times. 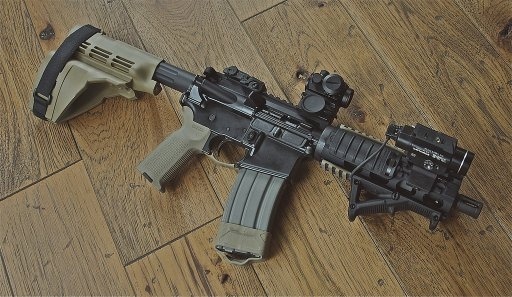 At around $30, and available in most common AR colors, these things are almost unbeatable for an A2 replacement. If you’re looking for something simple, this is unquestionably the way to go. MI has another winner here with their two-piece drop-in. 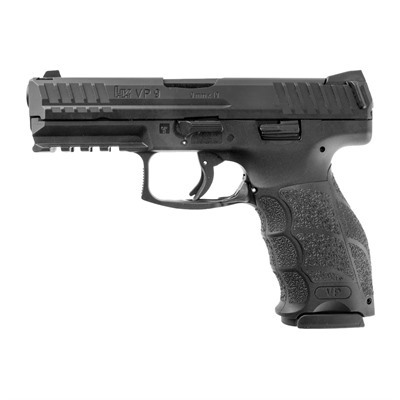 This is an excellent choice if you want a nice upgrade over the UTG and the Magpul options. 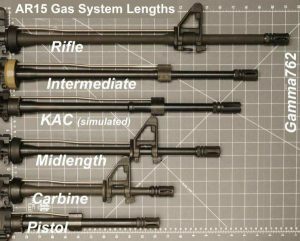 They’re available in multiple lengths, and can even accommodate some piston gas systems. Made of 6061 aluminum, it’s also very strong. You get complete M-LOK coverage at all the usual places, and they all come with a small section of rail for mounting a Picatinny front sight. You also get five QD sling swivel points for attaching your sling any which way you please and a full-length top rail for that monolithic upper look. For a true quad-rail experience without having to attach multiple rail sections, you’ll want something like this Troy Industries quad rail handguard. This is the perfect drop-in quad rail as far as we’re concerned, and it does a great job of giving you plenty of rail space, all while staying surprisingly lightweight. 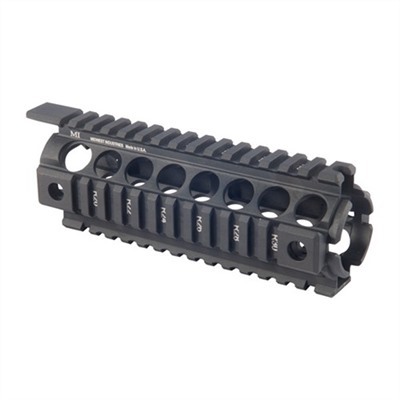 If you’re looking for a great grip for your AR-15 build, you can’t go wrong with any of these handguards. That doesn’t mean this is the list to end all lists, though. 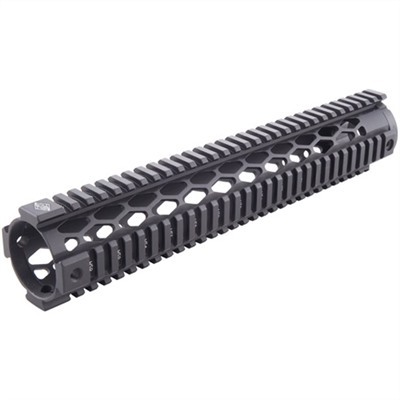 Most AR manufacturers make handguards, and Daniel Defense, BCM, and other manufacturers also produce some fantastic AR handguard options. This list should give you a good place to start your search if you aren’t sure what you need, and you’ll find plenty of options to cover a wide range of builds. 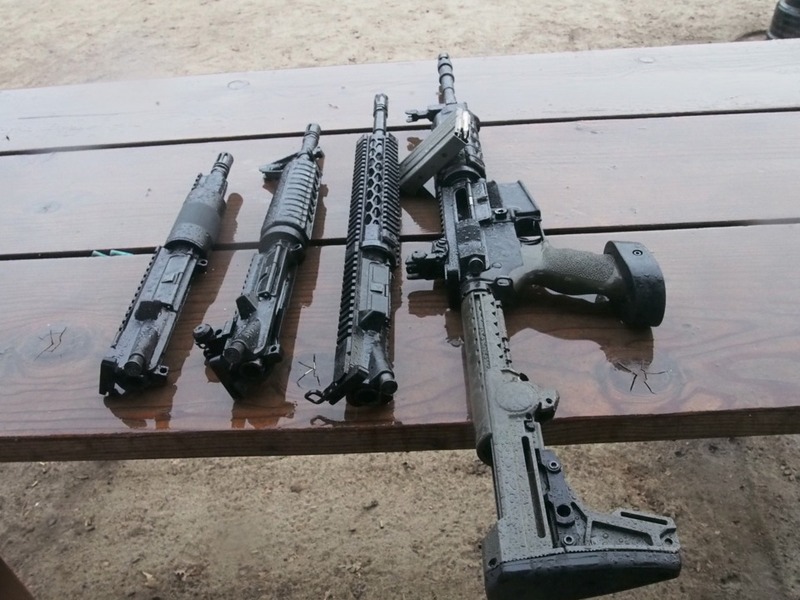 Which one of these handguards is your favorite? What handguards that aren’t on the list do you like the best? Let us know in the comments! We’re covering the rest of your AR-15 build, too–just check out our best AR-15 upgrades guide.